We made it! Spring is here; at least that’s what the calendar says. Here at Bartlett Woods, most of our snow is gone and it won’t be long before our beautiful gardens will be in bloom again. We are all watching for signs of the first Crocus to pop up out of the ground. It’s a much talked about event at breakfast each morning. While we are waiting for the flowers to bloom, we have come up with some pretty fun stuff to keep everyone busy. We will start with a new series we’ve added to our monthly calendar. Our nurse Chelsea Carr, who is the Director of Resident Care Services, will host an education session every month with varying topics. The residents will give input on the topics they would like to learn more about. Chelsea’s first group was very well attended. We are very excited to bring some new speakers to Bartlett Woods this month. On Thursday April 11th at 6:00 PM we have photographer Mike Taylor of Taylor Photography coming to share some of his incredible photographs and give some insight into how and where he does these amazing photo shoots. We certainly hope you will come join us for what is going to be a great event. 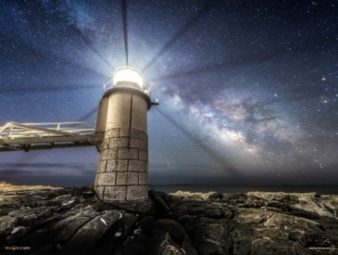 From the night sky we will go to Penobscot Bay with Penobscot Bay Pilot, Captain David Gelinas joining us on Wednesday, April 17th @ 2:30. Capt. Gelinas will come and share some stories of the PenBay Pilots. This is sure to be an interesting afternoon, make sure you mark your calendars and come join us. From Penobscot Bay we go to small town USA with “Average Joe Wright”. 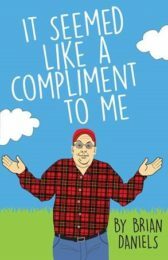 Average Joe is the curmudgeon in the book by author Brian Daniels, author of “It seemed like a compliment to me”. Brian will be here to talk about his book on Monday, April 22nd at 2:00 pm. He will have copies of his book available for purchase. We love to offer a wide variety of speakers and I think this month we really did. Along with speakers we have some great music too. One of our very favorites “All that Jazz” will be playing here again with us. Our residents just love this band; it is always a full house when they come. Spring means flowers and we will be holding another flower arranging class where the residents get to create their own floral arrangement to display in their apartments. Flowers make everyone smile! We have a tradition here at Bartlett Woods, where the first trip of the year to Dorman’s Ice Cream shop in Thomaston is on us! That’s right we treat every resident that joins us to a free ice cream. I don’t need to tell you the bus is ALWAYS full for this trip! We will hit up some of our favorite restaurants this month as well, such as Moody’s Diner in Waldoboro, Camden Island Chinese Restaurant in Camden and breakfast at Hole in the Wall Bagel shop here in Rockland. As always we have our regularly scheduled activities every month like Bingo, exercise classes, games, movies, documentaries, church services, writing groups, discussion groups, knitting groups and of course cocktail hour! April is going to be a very fun month; maybe you should come join the fun! We saved a seat for you!